Two senior figures from the NHS have been appointed to lead an inquiry into the design, building and maintenance of Scotland’s largest hospital. The inquiry comes after two patients died at Queen Elizabeth University Hospital in Glasgow after they contracted an infection linked to pigeon droppings. Dr Brian Montgomery, the former medical director and interim chief executive of NHS Fife, and Dr Andrew Fraser, the director of public health science at NHS Health Scotland, will jointly lead the work. Their appointment was announced by Health Secretary Jeane Freeman. The inquiry comes after the Crown Office announced it was looking into the death of a 73-year-old woman and a 10-year-old boy at the hospital. 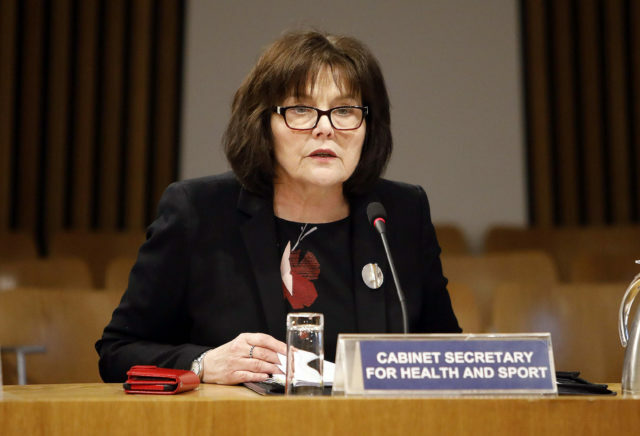 Both patients died after catching the cryptococcus infection, which is linked to pigeon droppings, with Ms Freeman last week telling MSPs she understood that “public confidence has been shaken” by such incidents. As well as the deaths at the Queen Elizabeth University Hospital, two premature babies died after contracting staphylococcus aureus at the Princess Royal Maternity Hospital, also in Glasgow, in January.